There are various reasons why your ear might be clogged; whether it’s from fluid in the ear, changes in atmospheric pressure or even excessive ear wax, clogged ears are not something you want to deal with and can be an extremely uncomfortable feeling. Some of the symptoms of a clogged ear include reduced hearing capacity, a popping sensation in your ear, a windy sound inside the ear and a feeling of having mucus or liquid within the ear. 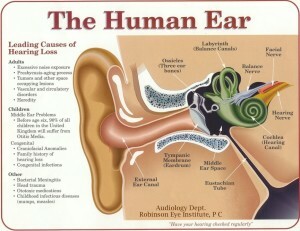 As annoying as that sounds, clogged ears can also be quite painful. Though, clogged ears are not to be a concern, if you experience them often, it might be worthwhile to get them checked out. With over 20 years of professional experience and offering only top notch services, Dr. Bruce Jones at Ear, Sinus and Allergy Center in Valdese, NC is dedicated to providing patients with the highest level of care possible. When experiencing clogged ears, it’s important to treat them early; below are some home remedies that help to alleviate the symptoms and often clear up the problem altogether. By performing the Valsalva Maneuver you might be able to get rid of those annoying clogged ears. First close your mouth and pinch your nostrils with your fingers, then take a deep breath. Now, try to exhale like you are trying to breathe out. Grab a piece of candy or gum and start chewing – this action might help to open up those clogged ears. Even the process of swallowing may help out in unplugging the ears. A warm compress is a very good natural treatment for clogged ears associated with colds or sinus congestion. The heat from a warm compress will help loosen congestion, unclog the ear and ease the pain. Soak a cloth into warm water, then squeeze the excess water and leave the cloth on the affected ear for 5 to 10 minutes. Afterwards, rub your affected ear with your palm, roughly. Then, place your palm on the clogged ear very tightly and push it out just like a suction cup. Inhaling steam is one the simplest ways to get rid of clogged ears resulting in a cold. The steam will help thin and loosen the mucus, which in turn will give you relief from your clogged ears. First boil water and then pour the hot steaming water in a large bowl. Add a few drops of tea tree oil or lavender essential oil to it. Then cover your head with a towel and inhale the steam slowly until the clogged ear opens up. This is another great way to unclog ears blocked by wax accumulation. Using a dropped, put two drops of 3 percent hydrogen peroxide in the affected ear. This will create a fizzing sound within a few minutes. Wait 10 minutes or until the fizzing stops. Then tilt your head to let the solution and earwax drain out. Grab some olive oil and put a few drops in the affected ear and let it sit for 5 to 10 minutes. While keeping your head sideways, use cotton to remove the oil or earwax. This is the ultimately, easiest and fastest method to unclogging your ears. Before all else, give yourself a big old yawn and see if that does the trick! Try out these home remedies when you experience clogged ears, they should do the trick! Note if you are experiencing clogged ears often or if you’d like additional information about them, please contact our offices today at 828-319-2226.